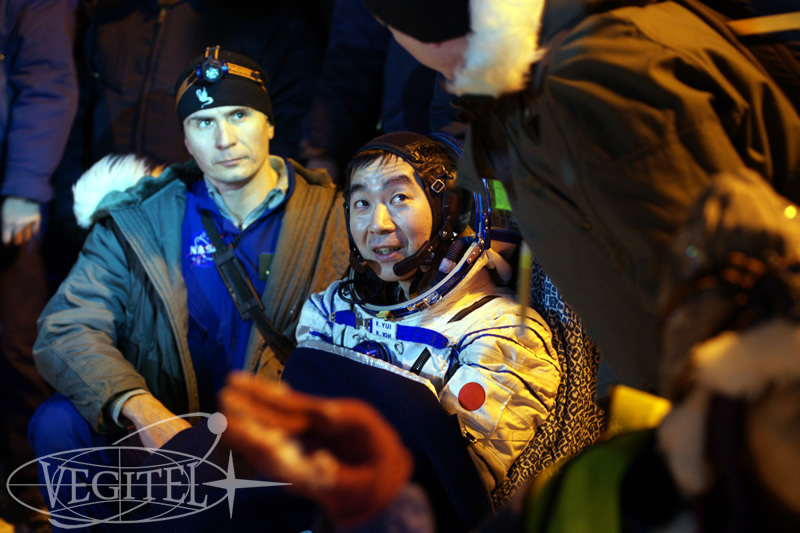 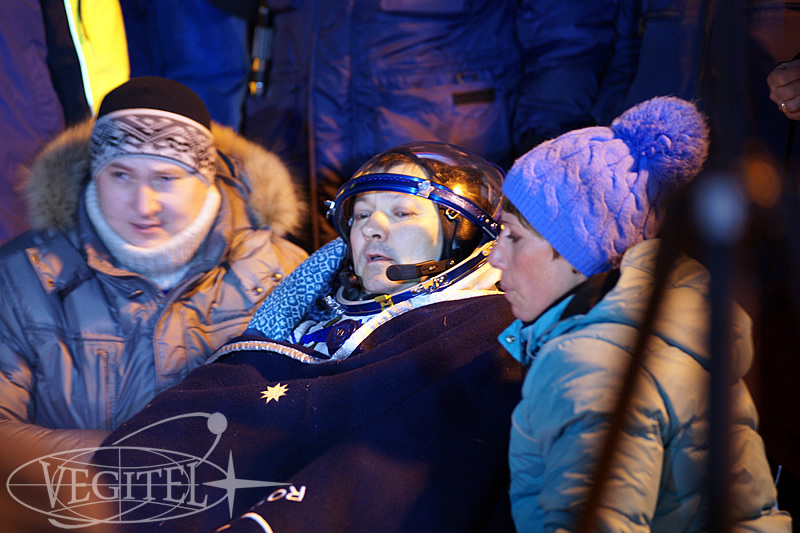 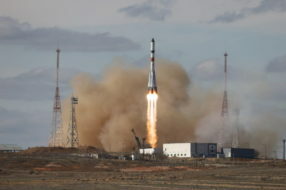 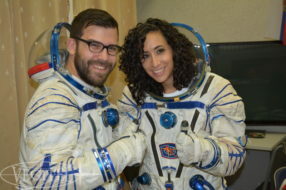 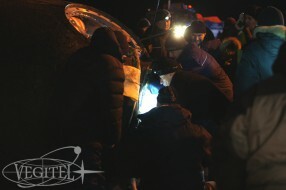 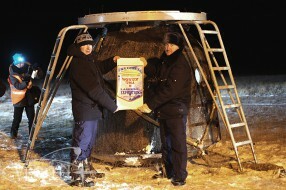 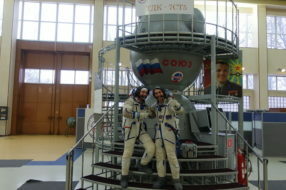 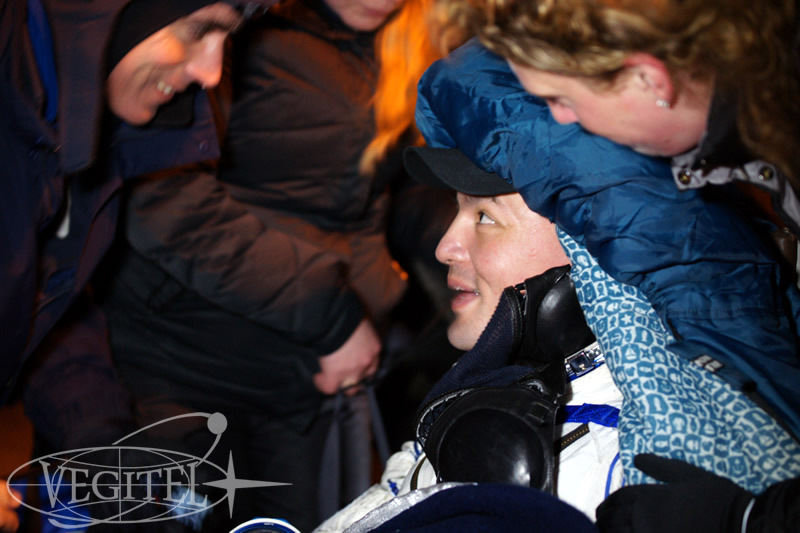 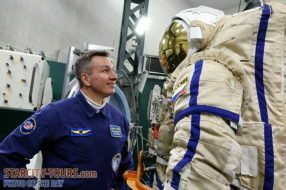 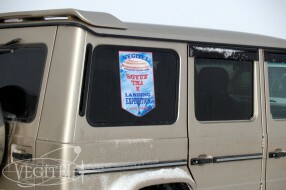 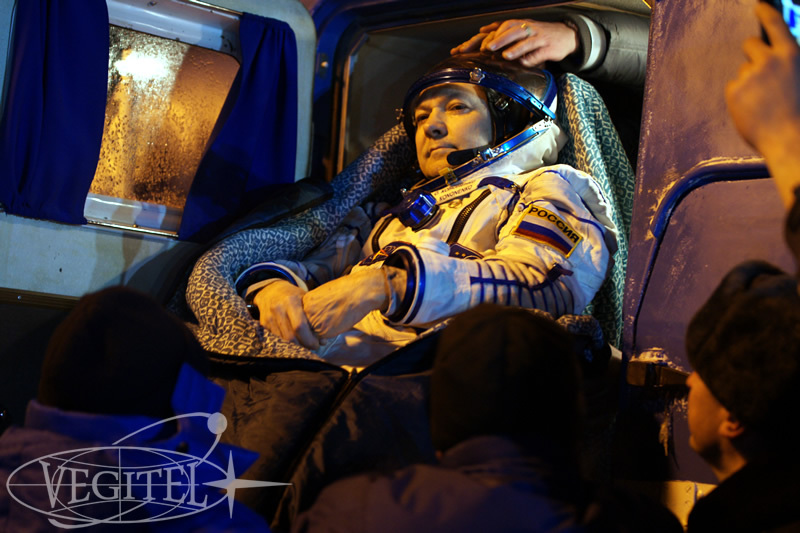 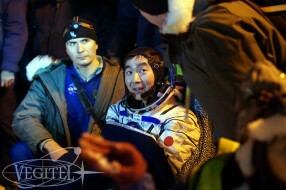 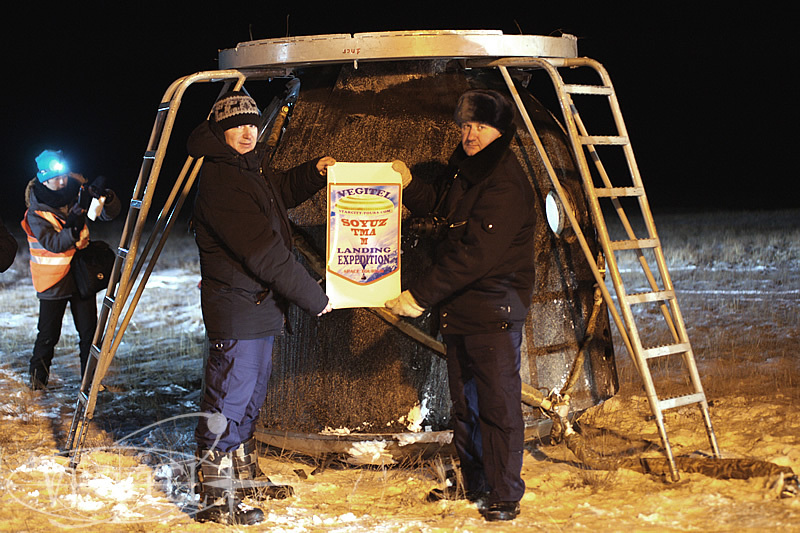 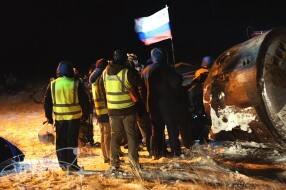 At 04:12 pm Moscow time on December 11 descent module of Soyuz TMA-17M manned transport vehicle with Roscowmos cosmonaut Oleg Kononenko, JAXA astronaut Kimiya Yui and NASA astronaut Kjell Lindgren onboard nominally landed in expected region 130 km south-east from Jeskazgan city of Kazakhstan. 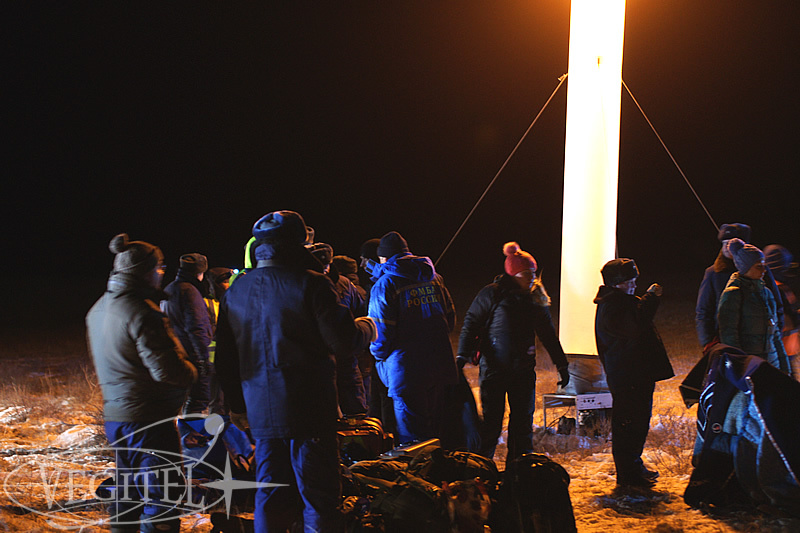 And, actually surprisingly, members of the extreme expedition to the landing site organized by our company, turned out to be at the right time and place. 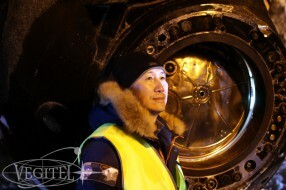 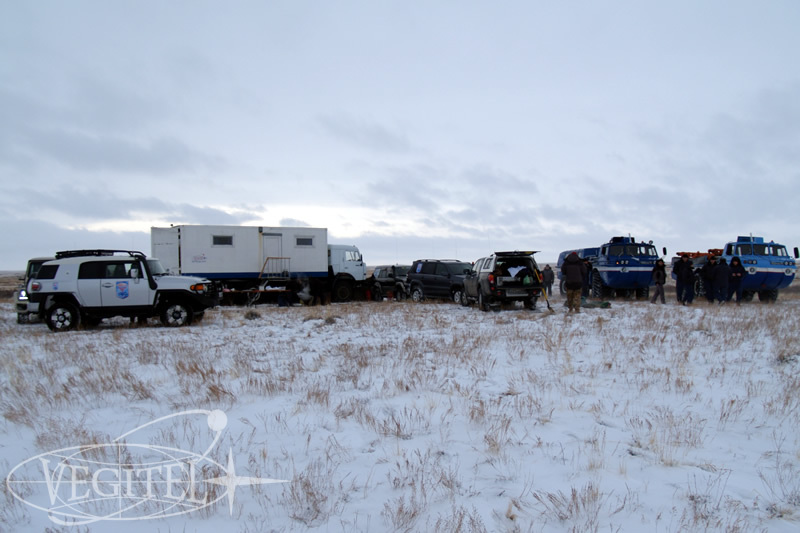 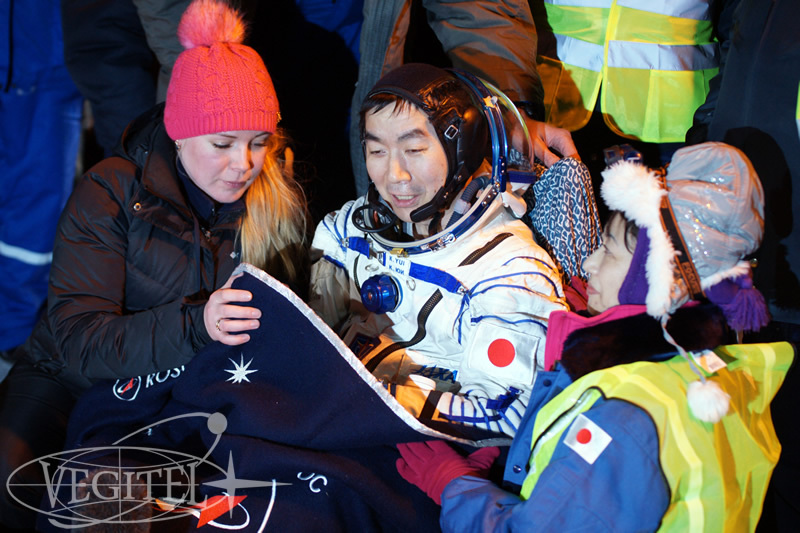 Once again in accordance with the good tradition our expedition to the steppe was joined by Japanese journalists who came to Kazakhstan to greet the astronaut of Japanese Aerospace Exploration Agency. 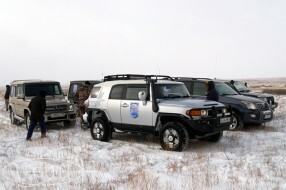 This expedition was one of the most extreme ones. 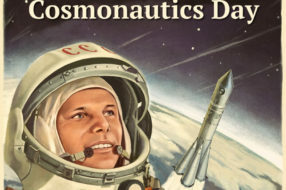 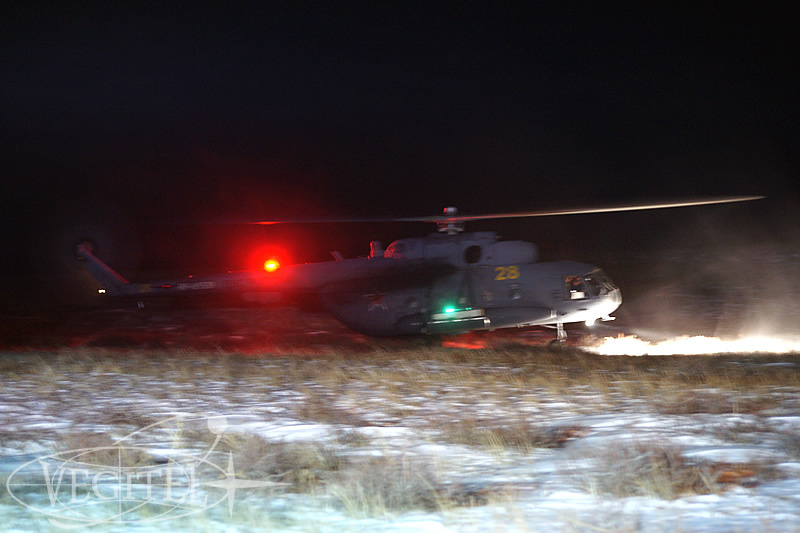 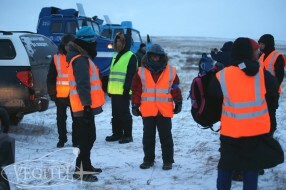 Besides the landing was planned for the dark time of a day, weather conditions in the estimated touchdown region were so much unfavorable that capabilities of search and rescue forces at the landing site were significantly limited. 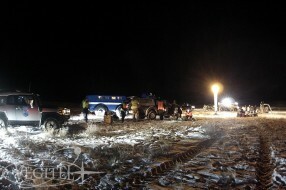 Almost continuous snowfalls and stormy gusts of wind puzzled even experienced rescue specialists. 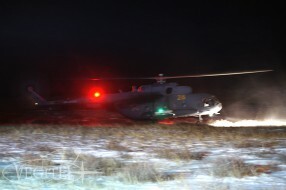 The most of personnel had to work “on the fly” unlikely it was planned before. 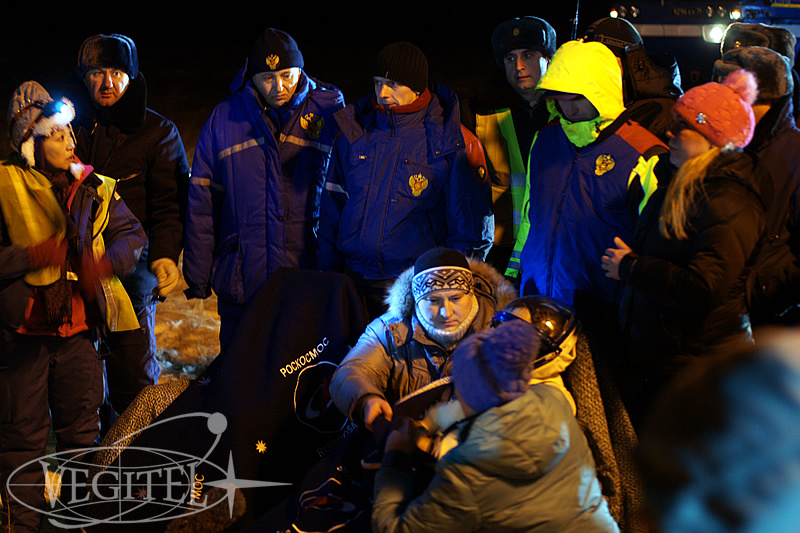 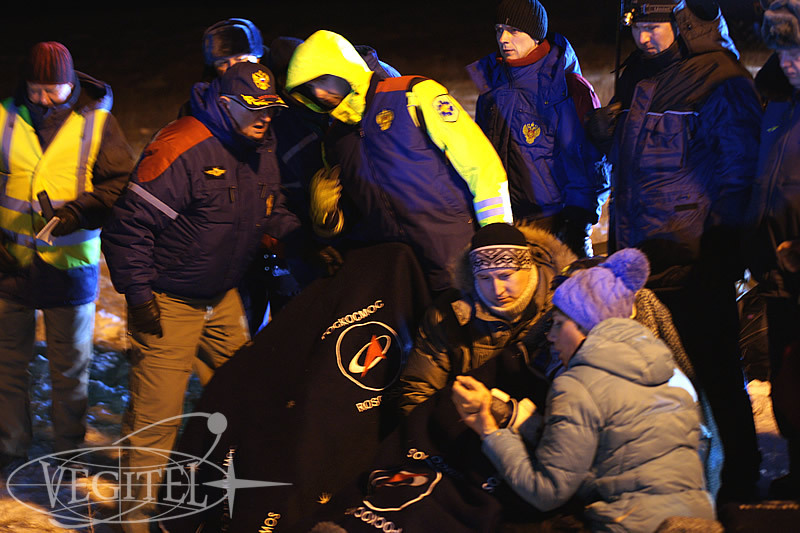 Stress was on the faces of people all the way to the end of crew evacuation. 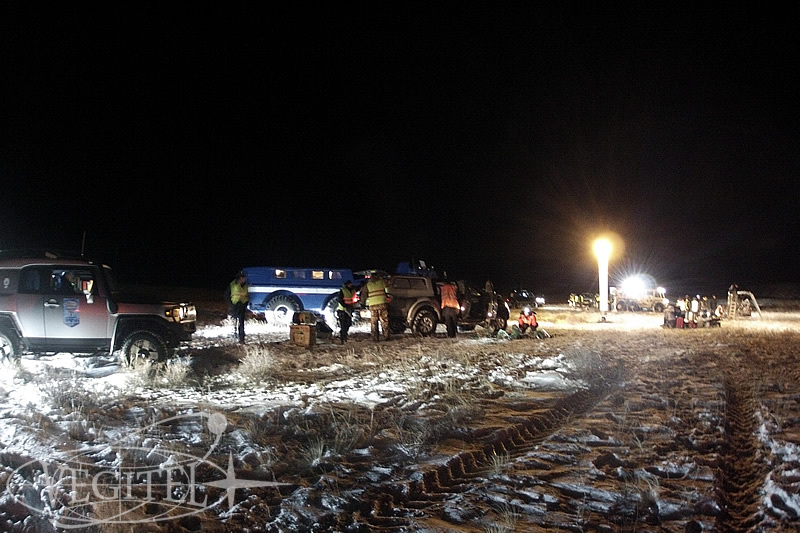 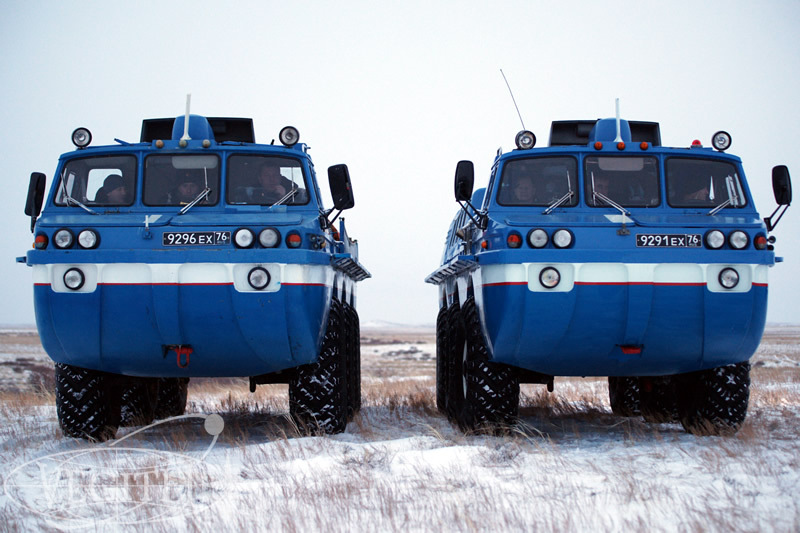 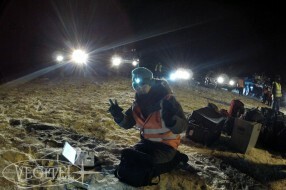 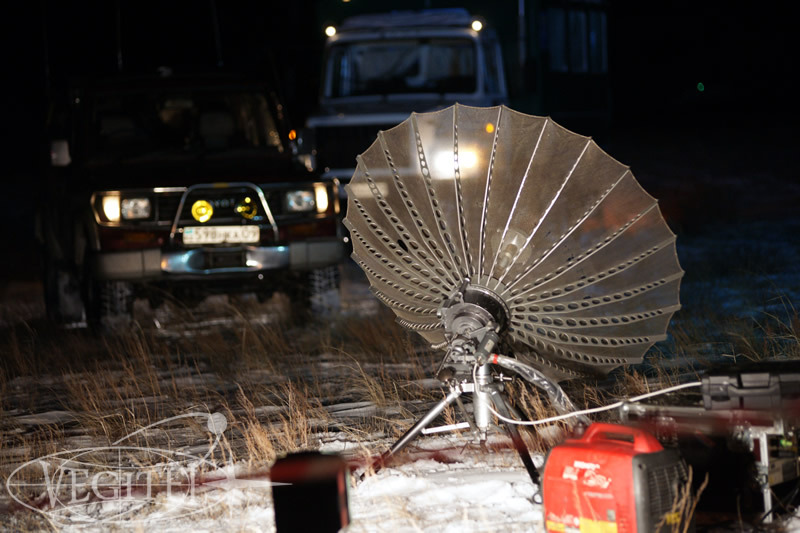 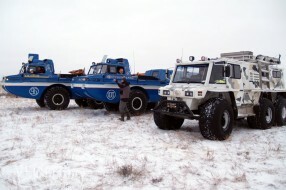 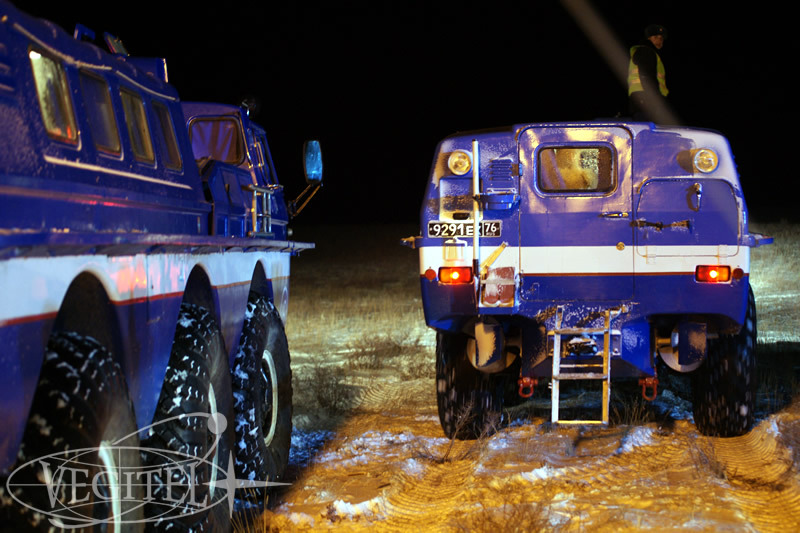 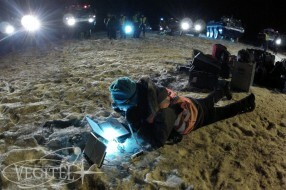 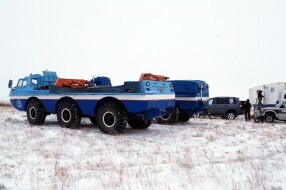 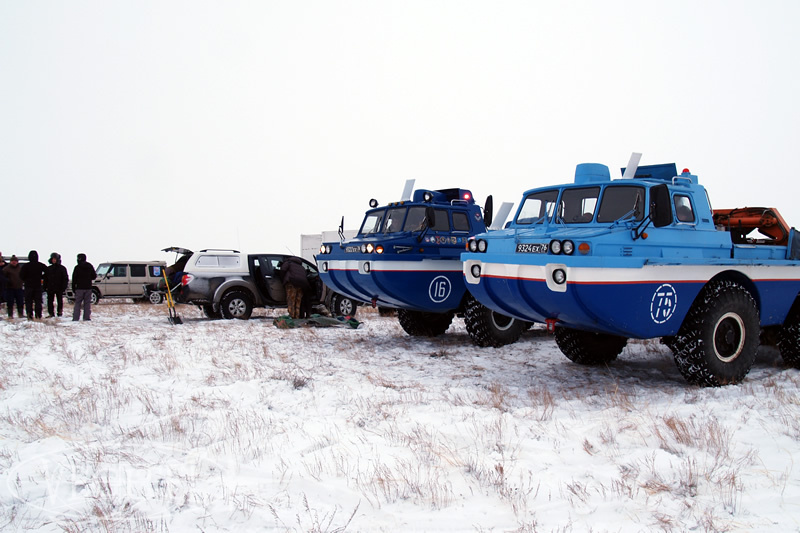 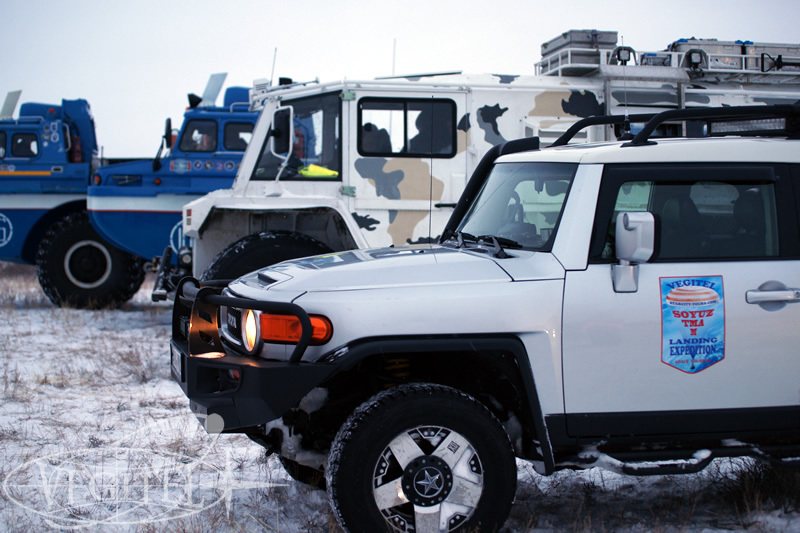 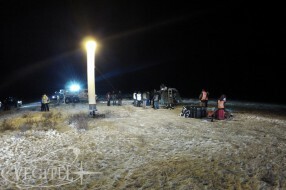 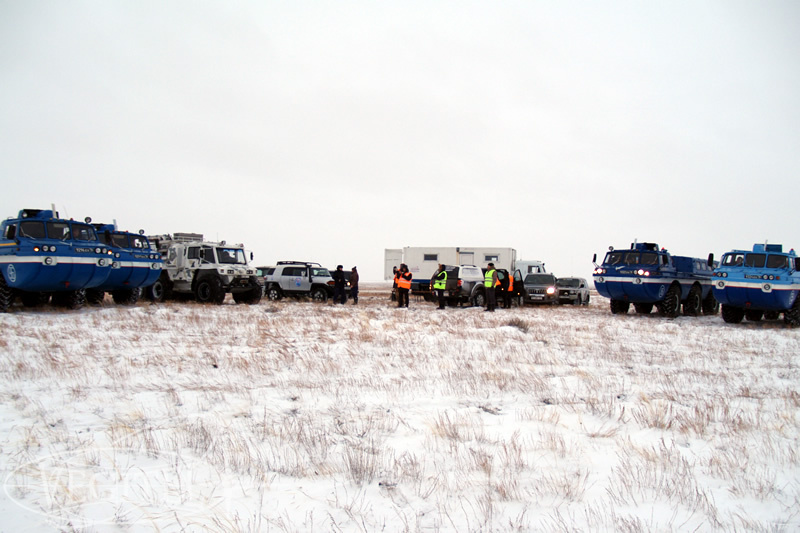 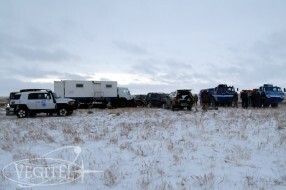 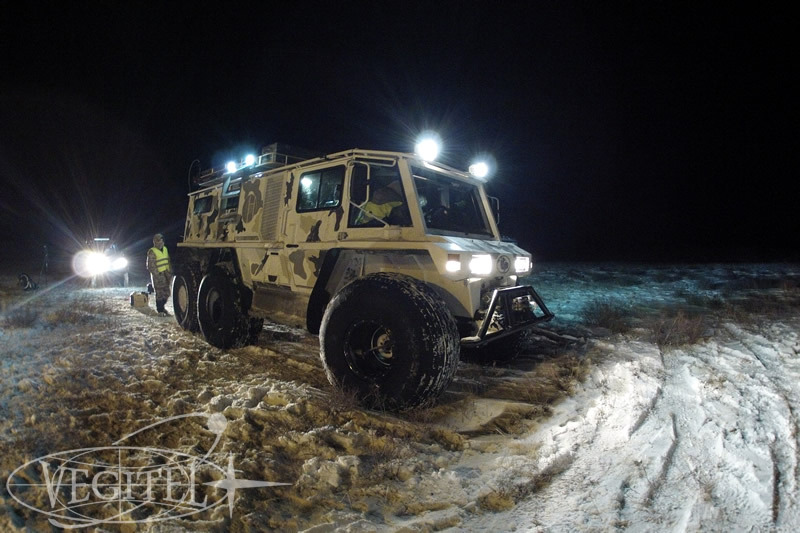 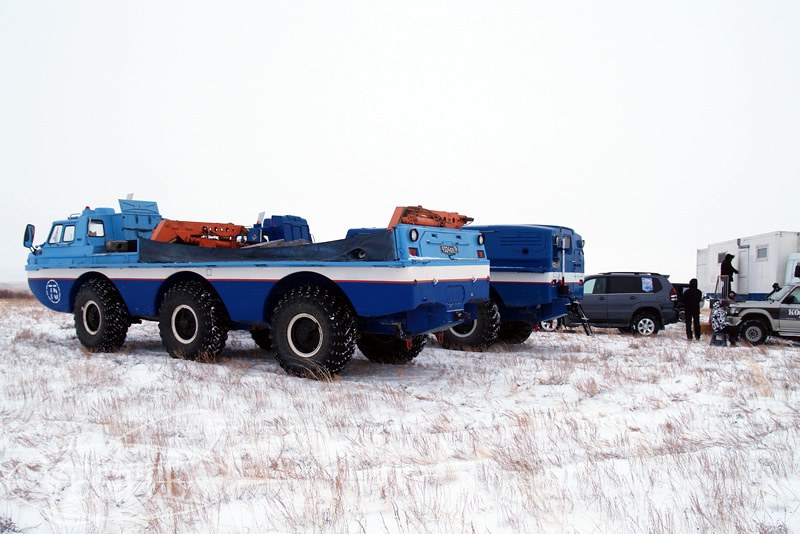 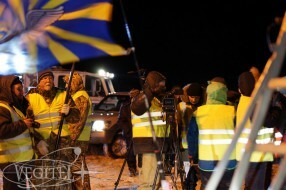 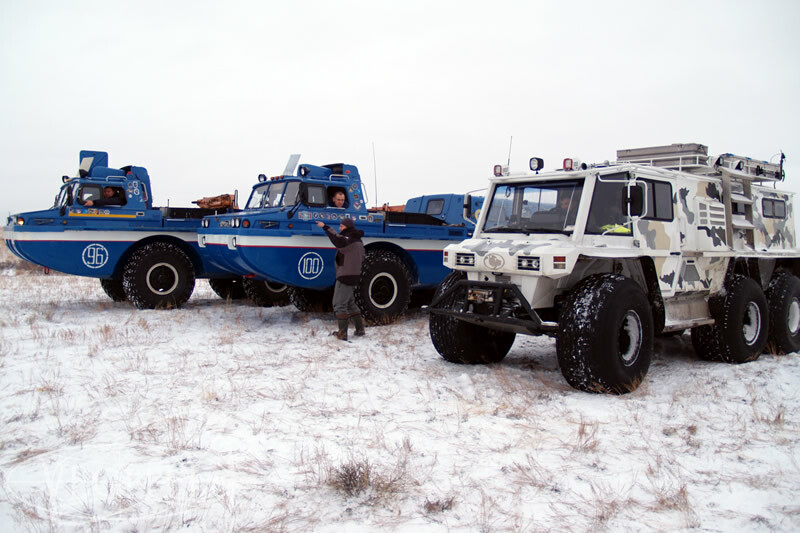 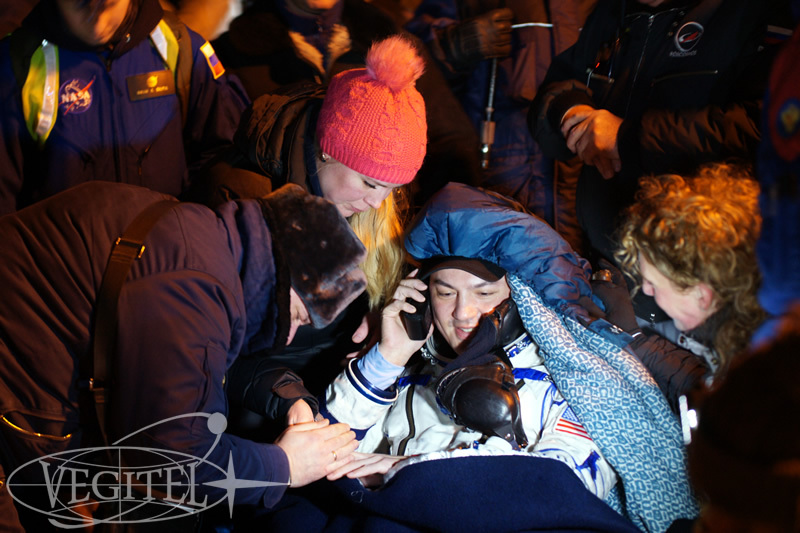 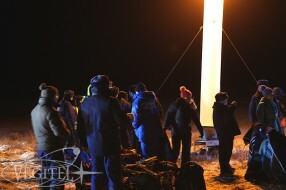 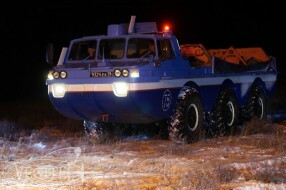 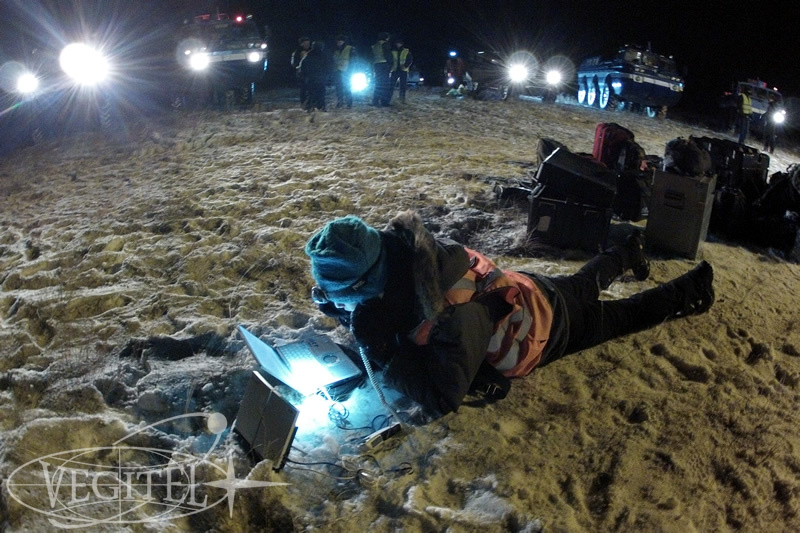 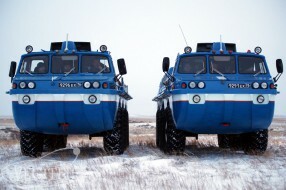 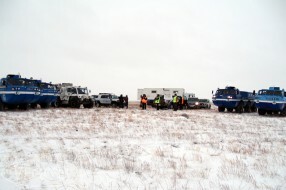 But even in these extreme conditions we not only arrived timely at the landing point together with the first search and rescue vehicles, took a good footage and made high quality news repots, but also provided a live broadcast to the central TV channels of Japan. 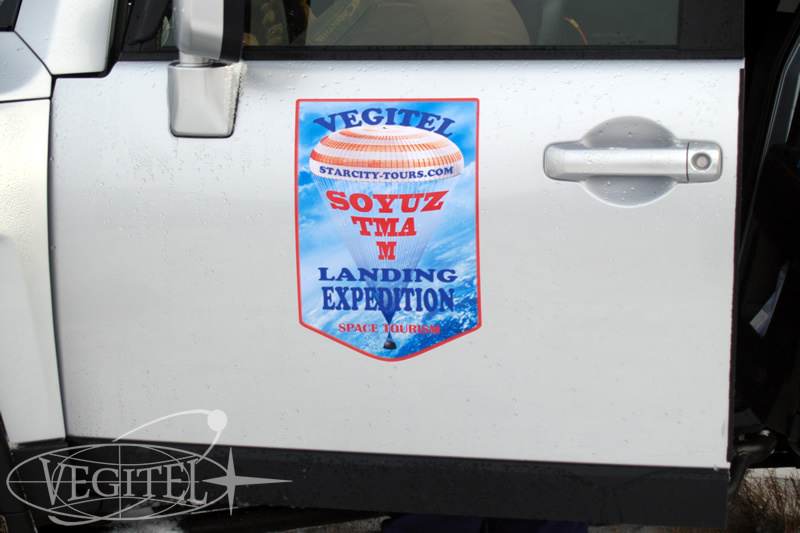 And off course all our efforts were awarded with a delicious traditional Kazakh food from the hospitable land of Kazakhstan.